This is the paper a student wrote under my guidance. 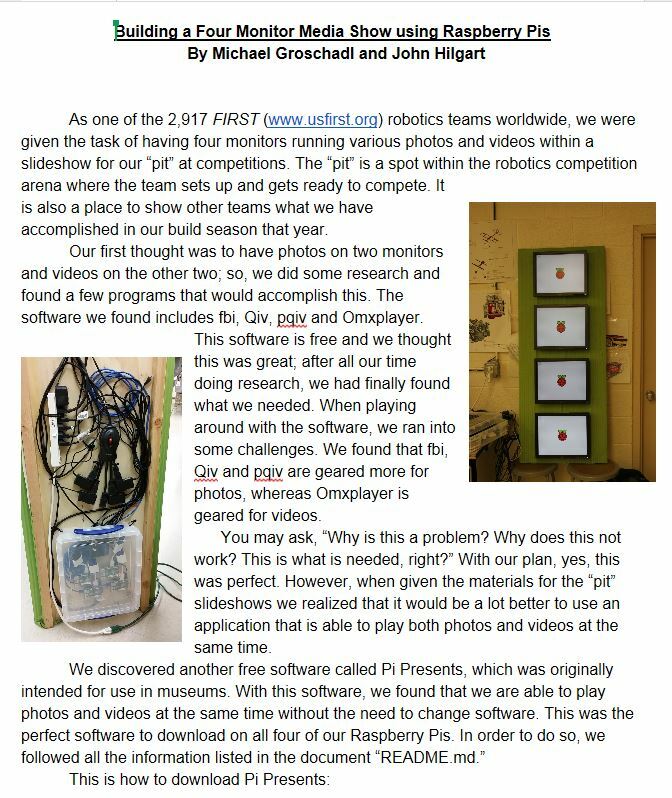 My write-up concerning our novel use of the Pi Presents program, which has a different emphasis and no pictures. This entry was posted in Admin, Python, Raspberry Pi and tagged downsample, omxplayer, Pi Presenrts, pqiv, qiv. Bookmark the permalink.